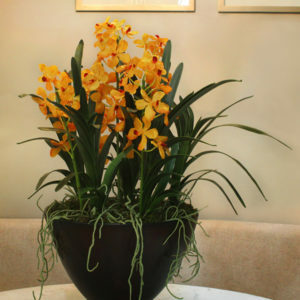 A classy artificial silk orchid bowl in a doctors’ waiting room. 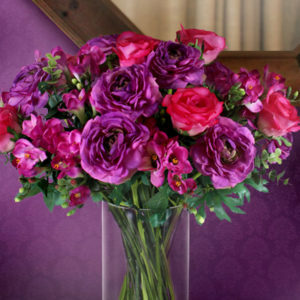 Both beautiful and allergy free. 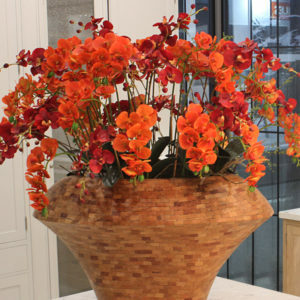 Feature a beautiful, fresh, vibrant, trendy silk flower arrangement in any Work Studio and your employees will love you for it! The fast pace of the corporate world and the constant need for new ideas, creative individuals require constant inspiration to produce original, dynamic designs. 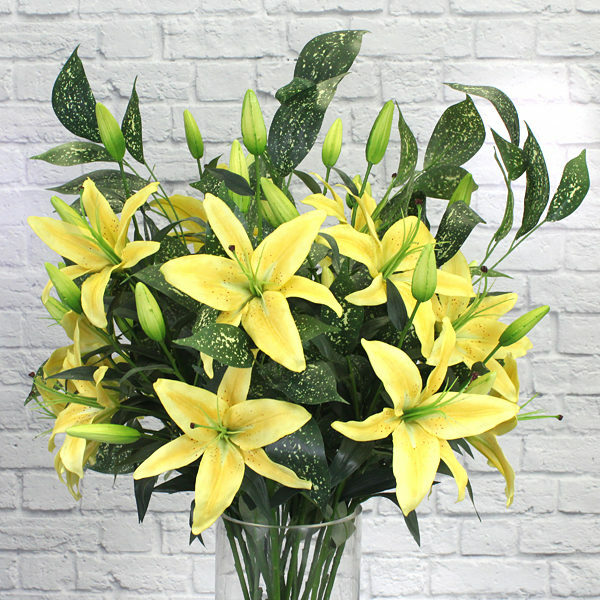 Surround them with beautiful blooms that will inspire them to think outside the box, and produce fresh ideas that will make any business vibrantly blossom like our Yellow Lily Blossoms! 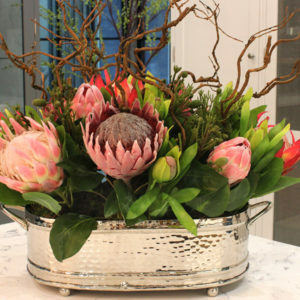 This SilkSense floral arrangement is made from high-quality artificial Lily stems, permanently set in a glass vase using a resin that mimics, clear, clean water.